If your home shows signs of foundation settlement of any kind, Frontier Basement Systems can help. We have a variety of warrantied foundation repair products that solve all types of settlement issues, including slab piers, push piers, and helical piers. 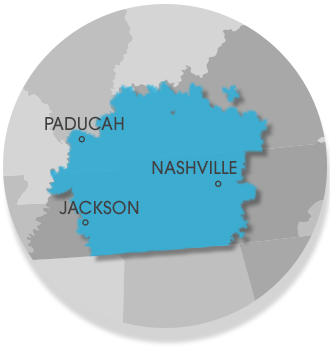 We serve Clarksville, Nashville, Jackson, Bowling Green, Murfreesboro, Owensboro, Utica, Fayetteville, Marion, Philpot, Mcminnville, Franklin, Leitchfield, Shelbyville, Hartford, Antioch, Paducah and many nearby areas in Tennessee and Kentucky.